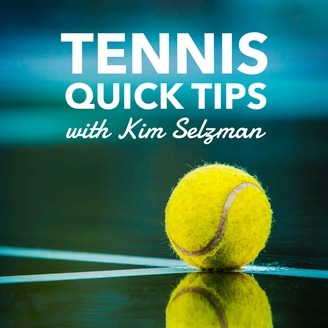 Tennis Quick Tips brings you weekly tennis tips that will not only improve your tennis play, but also make sure you're having fun each and every time you step on court. Whether you want a stronger serve, a cleaner return, a crisper volley or a more powerful overhead, Tennis Quick Tips will provide you with the tips, tricks, tactics and strategies to make that happen. 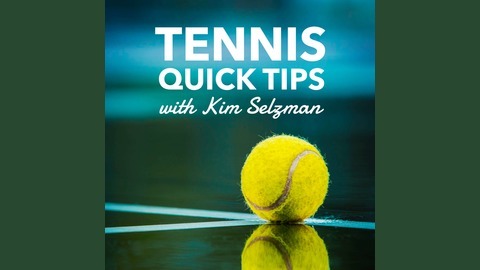 Each Tennis Quick Tips episode will give you a really easy, really worthwhile tennis tip that will help you to quickly improve your game - no expensive lessons or extensive hours on court required. Each episode is short and concise, just 5 to 10 minutes, so you get the most information possible in the least amount of time possible. No matter what your tennis skill level, you'll find plenty of great tips to put into action every time you hit the courts with Tennis Quick Tips. Summer is here and that means playing lots and lots of tennis out in the sun. Because I want you to stay safe out there, this episode is focused on helping you have tennis fun in the summer sun. So what are we talking about today? Today we are going to really get into sunscreen. We all know we're spending a lot of time out in the sun and we really need to protect our skin with sunscreen to not only slow the signs of aging that prolonged sun exposure can cause, but also to help reduce our risk of skin cancer. So let's talk about sunscreen - what it can do for us, what kind to use, how much to use, how often to use it and what is the best sunscreen to use when you're playing tennis and need something you can quickly apply without making a huge mess. THANKS TO THE SPONSOR FOR THIS EPISODE - TENNIS TRUNK! 160 Want to Live Longer? Play Tennis!